You are at:Home»1L Year»How Do Law School Grades Work? In almost every law school, you are graded on a strict curve. In this article, we break down the details of the law school curve and analyze why the dreaded curve causes so many law students to break into a cold sweat. Most of us are familiar with the concept of a curve: it means grades must fall along a predetermined distribution. Bell curves are found all over nature: in height, in weight, and arguably, in intellectual ability. Making grades conform to a bell curve reflects the idea that we expect most people will do about average, and the likelihood of achieving some value above or below the average decreases the further away we get from the median. Therefore, falling on the far right and the far left of the curve should be very rare. Accordingly, In a curved grading system, A+ grades and F grades are only given to a very select few. What grade you receive in a curved grading system is ultimately determined by comparing your performance to that of everyone else in the class. If about half of your fellow students did better than you, and half did worse, you’ll get a median grade. If you did better than 90% of the class, even if it was just by a narrow margin, you get a grade at the high end of the curve. Law school grading is curved, but usually follows something a little bit different than the typical bell curve. In law school, there will be a pre-determined median grade that is the same for every class in the school. This is what people are talking about when they say “grades at that school are curved to a B+”. That means a B+ is the median grade at that school. However, in law school the number of people that must fall at or above that grade is not fully determined yet. Rather, the bulk of exam scores will fall exactly at the median, and the professor determines how many grades will deviate from that. Generally speaking, for each grade the professor gives above the median, he or she must give generally another student a corresponding below median grade. The average grade in any given class must fall very close to that median. There is a little flexibility: if a professor thinks they had a particularly strong class, they can move that average a little higher. For a weak class, the average may be a little lower. This all has the effect of insuring that most students’ grades will fall right smack in the middle, near the school’s median on individual tests. For most students, their overall GPA will tend to gravitate towards that median as well, with any bad grades usually balanced by a couple good ones. Only a handful will really break the curve and stand out. Law schools desire this outcome because it makes it more difficult for employers to draw fine distinctions among most students when choosing among potential employees. Most student at the school get the relative comfort of being right in the middle of the pack, grade-wise. It’s not unusual for 80% of the schools students to fall right at the median. Picture a bell curve with a big fat clump of people at the middle. Law school grading in 1L year is typically conducted by a process called ‘blind grading’. When professors read your exam, all they see at the top of the test is your exam ID number. They have no idea who wrote it. They’ll assign a grade to that number, and then the administrative staff later associates the grade with the correct student. If you showed up to every class and shined when you were called on, you might get a little boost in your grade. Similarly, if you were habitually absent and hadn’t read the assigned cases on the days you got cold-called, a small deduction for bad form is possible. In curved classes, expect the participation component of your grade to be minimal. I’d imagine very few students ever get more than a .25 boost (on a 4.0 grade scale) or so. I could be wrong, as there really isn’t anyway to know how each professor implements this subjective participation adjustment. It’s shrouded in mystery. The general opinion, however, is that participation does not play a big role in your grades. It may hurt a professor’s feeling when you don’t show up to every class, but they are generally kind enough not to ruin your career over it. Of course, if you want to succeed in law school, it’s a good idea to show up to class. 1L year, there shouldn’t be much reason to miss class… but by 3L year, you might find it more tempting to skip a class here and there & it probably won’t kill your GPA. While you can expect just about all of your 1L classes to be graded on a curve much like I’ve described above, not every class in law school works this way. Often, legal research and writing is a simple pass/fail course. You may also be allowed to take an elective in 1L year that is taught in a class setting too small to lend itself to curved grading. In 2L and 3L year, larger classes will generally still be curved. However, smaller seminars are usually not curve graded. The thinking there is that there isn’t a large enough sample size to meaningfully compare one student’s work against the work of the other members of the class. Grading is instead done through the more subjective method that you commonly encounter in undergraduate work, and thus participation may matter a great deal. As a result, the general consensus is that un-curved seminars tend to be a bit more friendly on your GPA. Depending on the school, there may be a limit on how many seminar classes you can take. This prevents people from taking only seminar classes to game their grades. This all seems pretty fair doesn’t it? Then why do you hear so many students complaining about the curve? For one thing, at any decent law school, no one really “deserves” a bad grade. These are insanely talented kids with a high level of drive. They are usually similarly talented and are almost uniformly excellent test-takers. Yet, with the curve, there has to be some winners and also some big losers on each exam. A small difference in quality might separate the best-written exams in the class from the worst, and yet the best ones get a stellar grade, and the “inferior” tests, even if they are still of high quality, earn a poor grade due to the curve. Moreover, the nature of this type of grading system means that most people tend to be forced into a mediocre middle that is, in a sense, arbitrary. Here’s an anecdote from my 1L year: when a few of my fellow 1Ls and I ran into our property professor shortly after the exam, he told us, in all seriousness, that our year was the best crop of exam-takers he’d ever seen. It makes some sense, since this was just after the recession and we had all worked like hell get into a top law school, competing with the biggest applicant pool ever. Also, we worked even harder once we got there. There was none of the laid back attitude towards grades that I think you might see at top schools during boom times when everyone is pretty much guaranteed a job. This particular professor told me that if you were comparing us with the pre-recession classes, we would have crushed them. However, do we get better grades as a group? Not significantly. We are compared to each other, and our grades still fall along the same old bell curve, with almost everyone in the class still getting the same old equivalent of a B grade. This is a good reminder of how important it is to crush the LSAT & get into a great law school. I hear many prospective students, after a disappointing performance on the LSAT, talk about how they’ll just go to a lower school and work insanely hard to transfer to a better school later… but the fact is that most people are going to end up in the middle of their class. The problem is, you’ll be in a class with similar peers who also are giving it their all. Law school can be a cutthroat, competitive world. No, people won’t go so far as to steal your books or anything, but they aren’t going to lay down for you to win either. That’s why I tell people all the time that the best time to compete and win is on the LSAT. 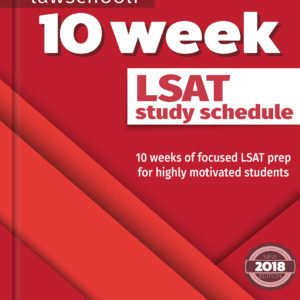 The LSAT is a competition too, with one key difference: most of the people doing it aren’t even thinking about the fact that they are competing and many are simply not trying their hardest to prepare. 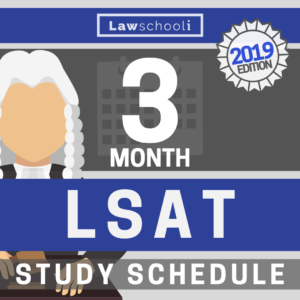 So, if law school is in your plans, give it your all on the LSAT. I promise you’ll work like crazy in law school too. It’s part of the culture. But the payout on the LSAT is much greater for significantly less effort. If you want to jump-start your success by dominating the LSAT and admissions process, check out our LSAT mastermind group. We are taking new members now, so we invite you to join a group of motivated, hard-working LSAT students. 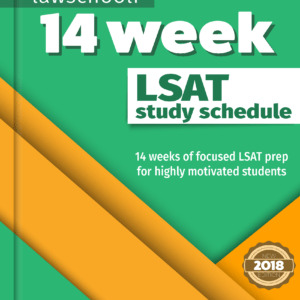 Previous ArticleHow Many People Take the LSAT Each Year? Next Article You’ve Got Your LSAT Score. Now What? I think the article already reflected the fact that there is a good deal of variation in how a curved grading system is applied. I added in a section on common exceptions to the curve. Not mentioning small seminars especially was an oversight on my part. Thank you for posting this, but I still don’t understand the reasoning behind the law school curve. What is the benefit (and to whom) to having a predetermined curve with mandatory above/below slots? Paula, I will update the post to discuss this!